Bernard Hopkins on career & Golden boy having the best fighters. Jean Pascal & Dereck Chisora on upcoming bouts. 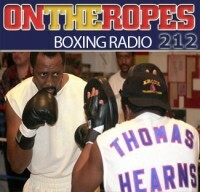 “On The Ropes” #206 Interviews! 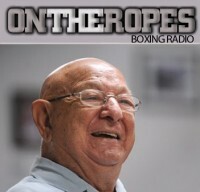 “On The Ropes” Boxing Radio returns this week with the first official show of 2014 to discuss all the recent news and stories in boxing. 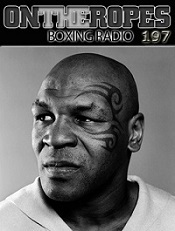 In this episode I will talk about all the headlines coming out of the heavyweight division. The division has been garnering attention ever since Vitali Klitschko vacated the WBC title and left a window open for the top contenders to fight for the belt. I will also talk about the possibility of Tyson Fury fighting Deontay Wilder and Dereck Chisora later this year. Lastly I will be giving my thoughts on what boxing needs to really go forward in 2014. Just click on the audio player to listen to the show! The first guest on this weeks show is heavyweight contender, Dereck “Del Boy” Chisora. Chisora makes his return to the show to talk about the 4 TKO wins he got in 2013, and his desires to fight for a title in 2014. Dereck also talks about potentially having a rematch with fellow British fighter, Tyson Fury. Aside from this, Chisora talks about his diet and new found focus which he credits for his recent run of success. The second fighter on this episode is Jean Pascal, who makes his 9th appearance to “On The Ropes.” Pascal discusses the preparation for his January 18th bout with Lucian Bute, which take place in Quebec, Canada, and is for the NABF light heavyweight title. Jean talks about the amount of attention that this fight has received in Canada what he hopes to accomplish after fighting Bute. 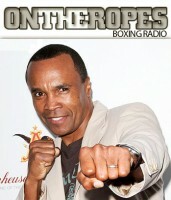 The main guest is former IBO and current IBF champ, Bernard “The Alien” Hopkins. Hopkins talks about still being successful at the age of 48 and what he tributes to his current run as a champion in the light heavyweight division. Bernard gives his views on the opponents he faced in 2013 and talks about potentially fighting Beibut Shumenov in his next bout. Lastly, Bernard Hopkins discusses the possibility of unifying the light heavyweight titles and if he thinks it is possible to accomplish despite the HBO and SHOWTIME rivalry. 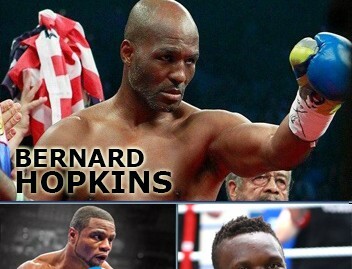 20 Responses to "Bernard Hopkins on career & Golden boy having the best fighters. Jean Pascal & Dereck Chisora on upcoming bouts. 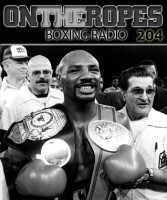 “On The Ropes” #206 Interviews!" Ever time i listen to Bernard I feel like i’m back in the classroom! Kelly Pavlick a drip that didn’t get fixed. As per Bernie to Philly from Bernie to New York, interest and authority from Bernie from Egypt amd frpm France! Salam Hop is compelled not to tug! Witnessed fgts in barclay +atlantic city that frisco fights for left and right, can use either hand! leads with his head! huh! Morat slapped him his share, Dawson! !,Jean the barefoot Lafeete1 Hold a major greef with one of two quotes Don’t lose to white? And Stay away from smoke if u desire to be champ? Huh! WIhite? ?I hope! He means Perry! Submit as intended se voiu pla, Mercy bou cou! Just enter “Internet dating sites for dating big girls. The decision needs to be made now that you are going to go after what you want know no matter if you get rejected or not. If you are buying for a larger practice then shipping fees can really be a deterrent to buying cheap scrubs sets online. I enjoy you because of all of the labor on this web page. Kate loves going through investigations and it’s obvious why. Many of us learn all of the lively tactic you render priceless guidelines on your web blog and in addition encourage response from other ones on that issue so our girl has always been learning a lot of things. Enjoy the rest of the new year. You are doing a powerful job. I and also my pals have been checking the excellent suggestions located on your web page and then unexpectedly I got a horrible feeling I had not thanked the site owner for those secrets. All the ladies became absolutely glad to study them and have truly been using those things. Appreciate your turning out to be so thoughtful and also for going for such awesome subject areas millions of individuals are really desirous to learn about. My honest regret for not expressing gratitude to you earlier. hello there and thank you for your information â€“ I have definitely picked up something new from right here. I did however expertise some technical points using this website, as I experienced to reload the website a lot of times previous to I could get it to load properly. I had been wondering if your web host is OK? Not that I’m complaining, but sluggish loading instances times will very frequently affect your placement in google and could damage your high-quality score if advertising and marketing with Adwords. Anyway I’m adding this RSS to my e-mail and can look out for a lot more of your respective interesting content. Make sure you update this again soon..